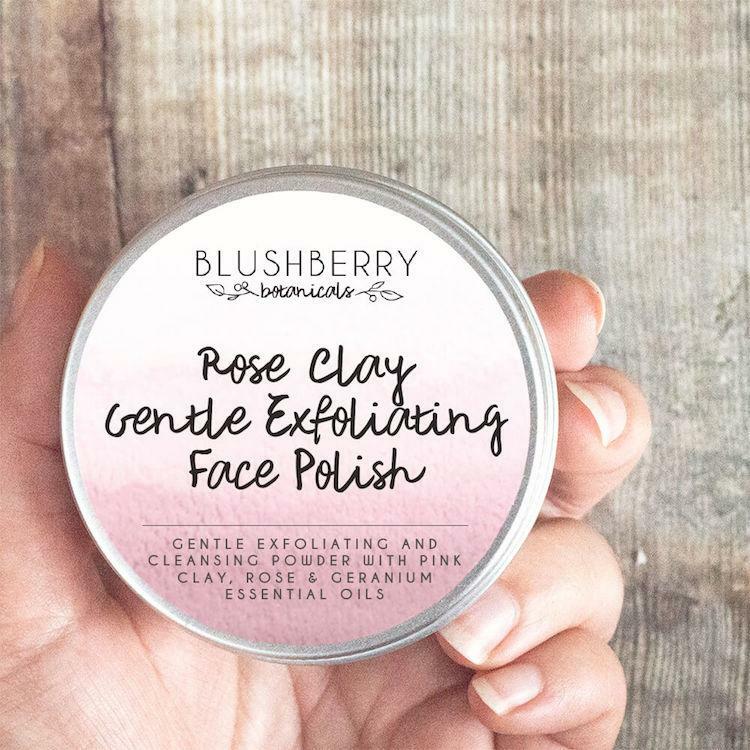 Rose clay gentle exfoliating face polish suitable for all skin types. 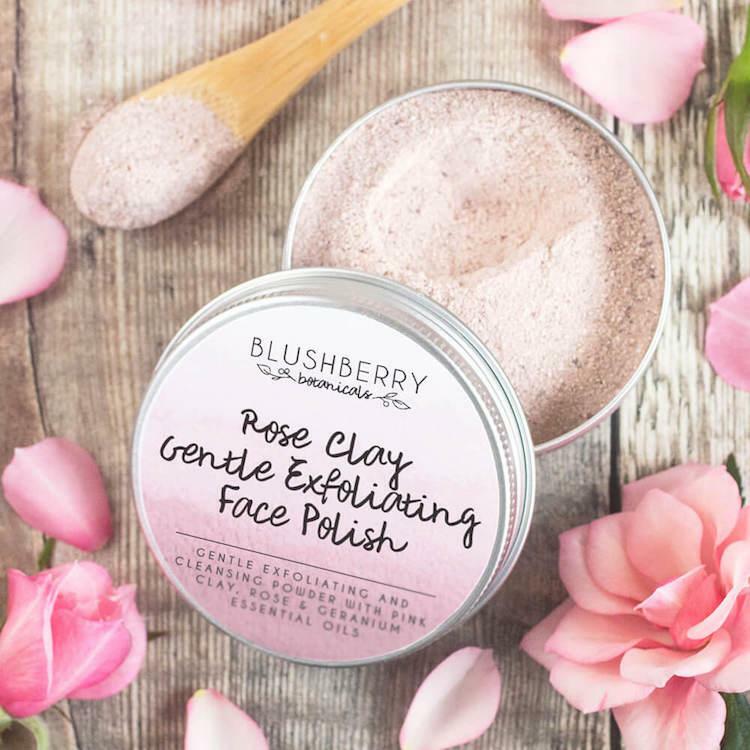 With organic rice and oat flour, clays, rose petals and rose absolute and rose geranium oil, the active ingredients gently and thoroughly cleanse the pores and exfoliates the face to reveal fresh soft smooth skin. 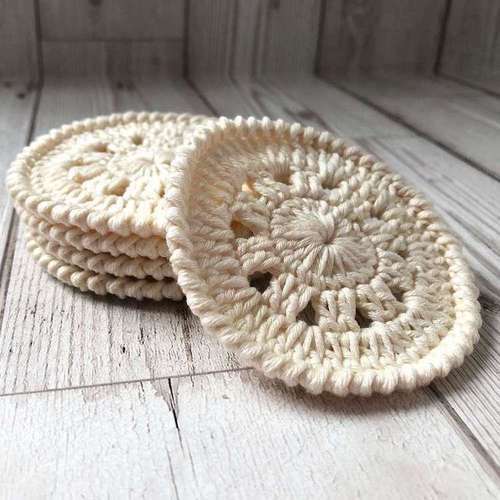 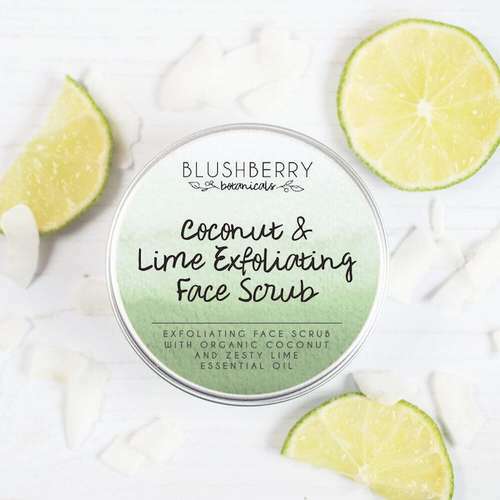 This exfoliating natural face polish comes as a dry powder - you just mix with a little with water to get a fresh scrub - you can customise this product - the more water you add the gentler the scrub. 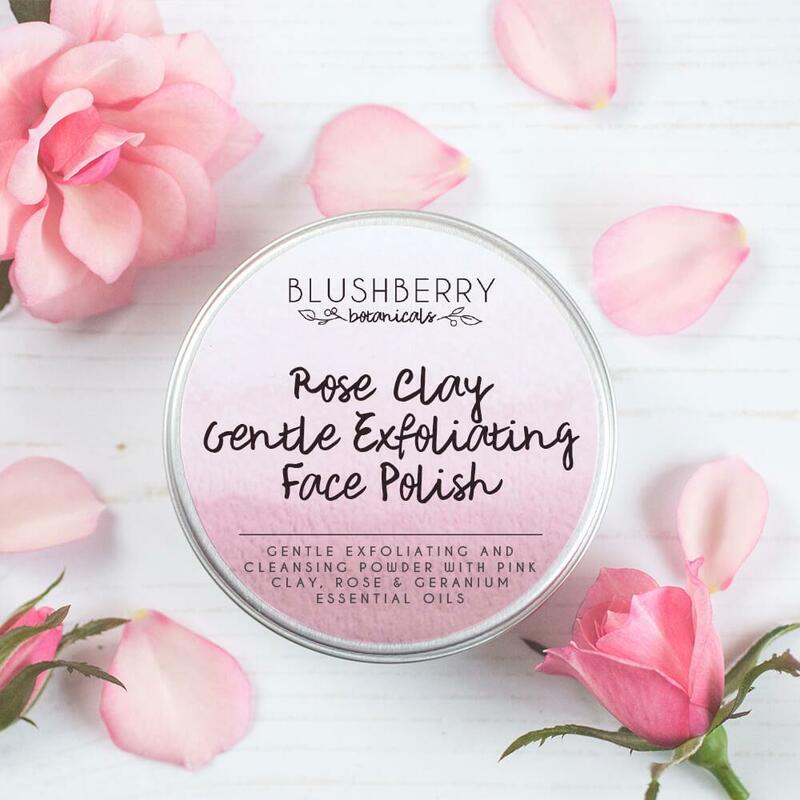 Ingredients - Oryza Sativa (rice) flour*, Sodium Bicarbonate, Avena Sativa (oat) kernel flour*, Kaolin, Rosa Centifolia (rose) flower powder, Illite/kaolin (pink clay), Rosa Cantifolia (rose absolute) oil, Pelargonium graveolens (rose geranium) oil, (essential oils contain Citral, citronelol, eugenol, geraniol, limonene, linalool).